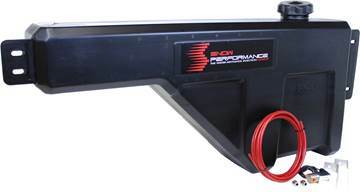 Lower EGTs 100-300 degrees and increase HP by 65+ with a cleaner, cooler running 1994-2007 Dodge 5.9L Ram Cummins with the PowerMAX™ Diesel Stage 2 Boost Cooler system from Snow Performance! A 7 Gallon reservoir is included with this kit. Lower EGTs 100-300 degrees and increase HP by 65+ with a cleaner, cooler running 2007.5-2018 Dodge 6.7L Ram Cummins with the PowerMAX™ Diesel Stage 2 Boost Cooler system from Snow Performance! A 7 Gallon reservoir is included with this kit. Lower EGTs 100-300 degrees and increase HP by 65+ with a cleaner, cooler running 1999-2019 Ford Powerstroke (7.3/6.0/6.4/6.7L) with the PowerMAX™ Diesel Stage 2 Boost Cooler system from Snow Performance! A 7 Gallon reservoir is included with this kit. Lower EGTs 100-300 degrees and increase HP by 65+ with a cleaner, cooler running 2001-2019 GMC/Chevy Duramax (LB7 through L5P) with the PowerMAX™ Diesel Stage 2 Boost Cooler system from Snow Performance! A 7 Gallon reservoir is included with this kit. Lower EGTs 100-300 degrees and increase HP by 65+ with a cleaner, cooler running diesel with the PowerMAX™ Diesel Stage 2 Boost Cooler system from Snow Performance! A 7 Gallon reservoir is included with this kit. 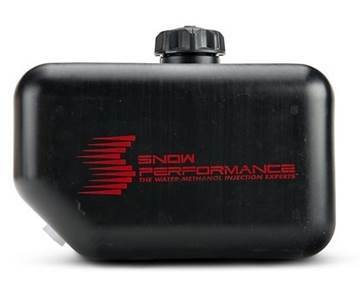 This kit from Snow Performance is a must have for 1994 - 2007 Dodge 5.9L Ram Cummins owners that are concerned about the longevity of their truck. 300°F EGT decreases, decreased emissions, cleaner engine components, and increased fuel economy with the Stage 3 MPG MAX Boost Cooler System. 7 Gallon Reservoir included. 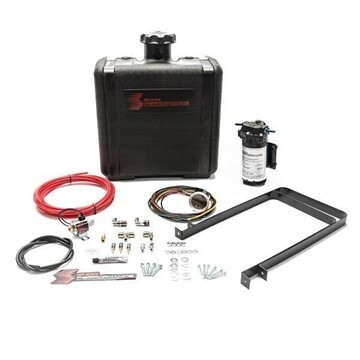 This kit from Snow Performance is a must have for 2007.5-2018 Dodge 6.7L Ram Cummins owners that are concerned about the longevity of their truck. 300°F EGT decreases, decreased emissions, cleaner engine components, and increased fuel economy with the Stage 3 MPG MAX Boost Cooler System. 7 Gallon Reservoir included. This kit from Snow Performance is a must have for 1999-2019 Ford Powerstroke owners that are concerned about the longevity of their truck. 300°F EGT decreases, decreased emissions, cleaner engine components, and increased fuel economy with the Stage 3 MPG MAX Boost Cooler System. 7 Gallon Reservoir included. 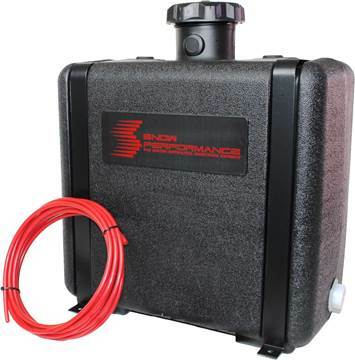 This kit from Snow Performance is a must have for 2001-2019 GMC/Chevy Duramax owners that are concerned about the longevity of their truck. 300°F EGT decreases, decreased emissions, cleaner engine components, and increased fuel economy with the Stage 3 MPG MAX Boost Cooler System. 7 Gallon Reservoir included. 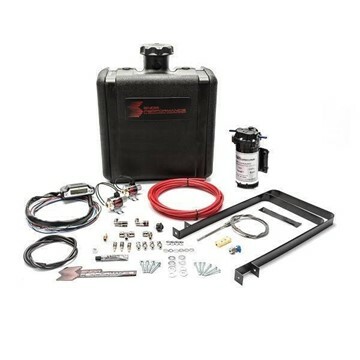 This kit from Snow Performance is a must have for any diesel truck owner that is concerned about the longevity of their truck. 300°F EGT decreases, decreased emissions, cleaner engine components, and increased fuel economy with the Stage 3 MPG MAX Boost Cooler System. 7 Gallon Reservoir included. 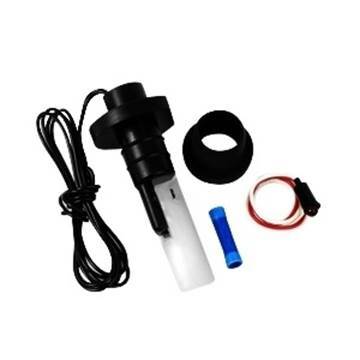 This universal reservoir adds 10 gallons to your Snow Performance water/meth system. Mounts directly to the top bed frame rail and sits above the wheel well.